NPA has been an IB World School since September 2004. It is one of the smallest IB diploma schools in the United States, yet it offers more course options than most large schools. All students at NPA are required to complete the full IB Diploma course of study, including Theory of Knowledge, the Extended Essay, and Creativity Action Service. Students select courses for their Diploma course of study at the end of sophomore year. IB courses are divided into Standard Level and Higher Level courses. Standard Level courses are less demanding than Higher Level courses and may sometimes be completed at the end of junior year. Higher Level courses must be taken over two years and they prepare students for advanced study in the subject at the college level. 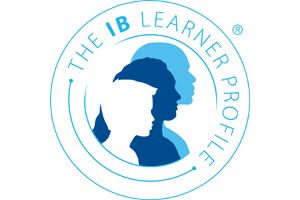 Students must choose one course from each of the six IB subject groups and must enroll in a minimum of three and a maximum of four Higher Level courses. Students who wish to take additional IB courses beyond those required for the IB Diploma may enroll in a seventh course if their schedule permits. Student achievement in a seventh course will not count towards a student’s IB Diploma.